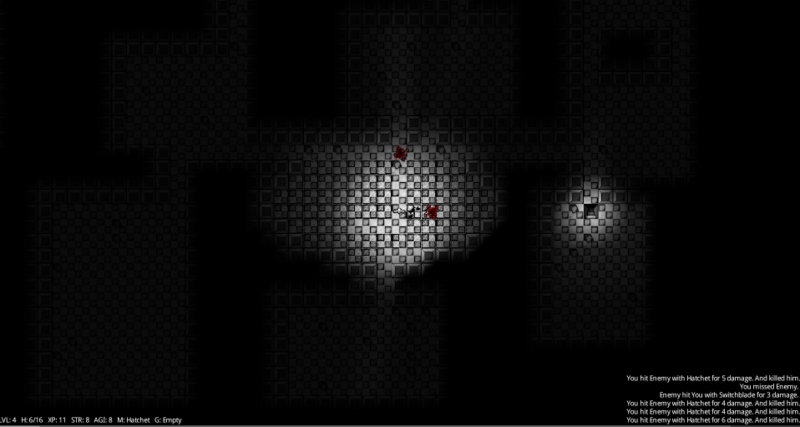 In the end I was able to put together very basic game play on top of something that has potential to be an interesting top down graphical roguelike. It implements raycasting for FOV and lighting, smooth movement and most important entity orientation. 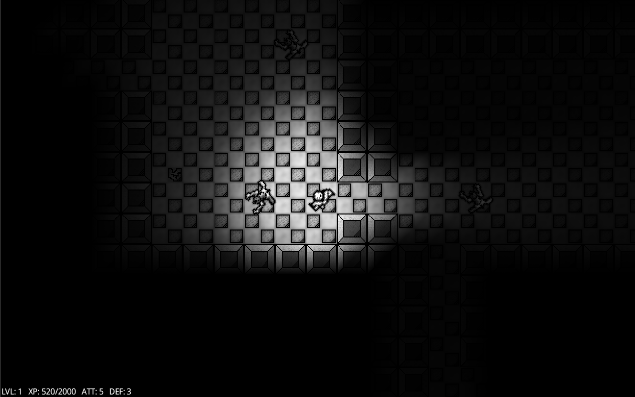 But top down projection has its drawbacks as its hard to make visually interesting NPC's. I lost a lot of time shaping my vision of the story, which at the and was completely cut out. Rewriting the rendering part (as I realized that making a huge texture from the map data is not the best idea for larger maps) didn’t help either. Now its not much of a game, but more of a playable tech demo. As a game contest, this is definitely a failure, but a playable one ;-). Developed in Java using my own small 'RL' library and LibGDX. Some parts of code was copy/ paste/edit form an old prototype. Game play and graphics was done during the 7 days. 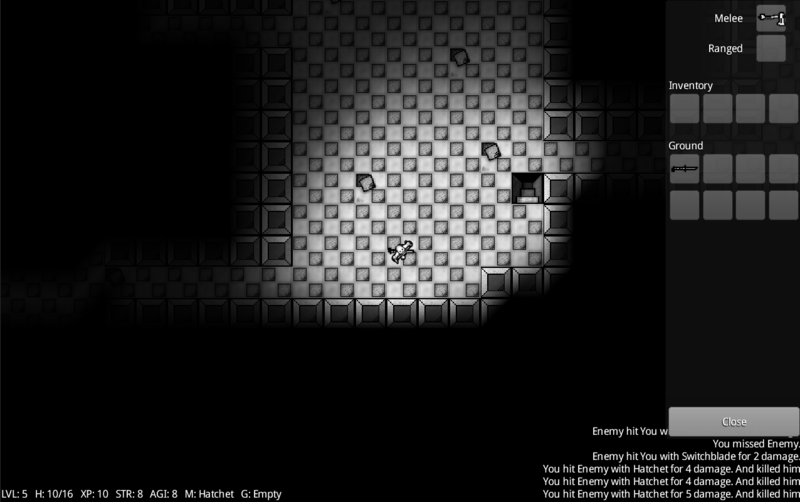 Hoping to make an after 7DRL android port, but only after I make the game fun to play. Tested on Windows XP an Ubuntu Linux. Java 1.6 or higher required. Get the final version here. - Tileset and sprite finalization. - Basic game master implemented. - Level generator from Fear4k. - Continuous keyboard movement and mouse interaction. - Time to implement more in-depth combat rules. 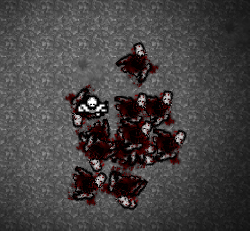 22:45 - Basic blood implemented, time to call it a day. 19:30 - First enemy entity. 14:30 - Refuctoring asset loader.